Yasmin Mogahed received her Bachelor’s degree in Psychology and her Masters in Journalism and Mass Communications from the University of Wisconsin-Madison. After completing her graduate work, she taught Islamic Studies and served as a youth coordinator. She also worked as a writing instructor at Cardinal Stritch University and a staff columnist for the Islam section of InFocus News. Currently she’s an instructor for AlMaghrib Institute, a writer for the Huffington Post, an international speaker, and author, where she focuses most of her work on spiritual and personal development. Yasmin recently released her new book, Reclaim Your Heart, which is now available worldwide. 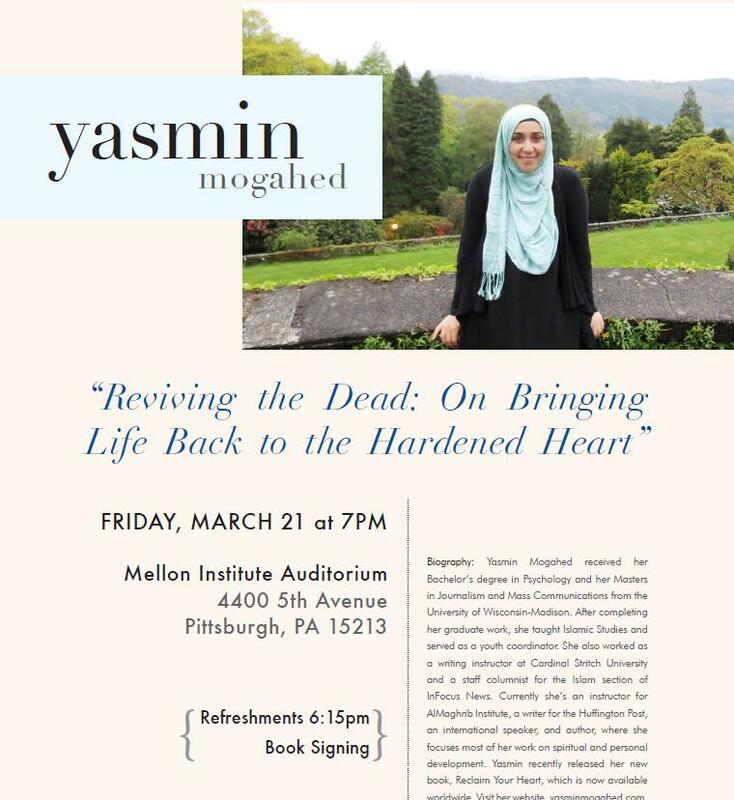 Visit her website, yasminmogahed.com, where you can find a collection of her articles, poetry, and lectures.